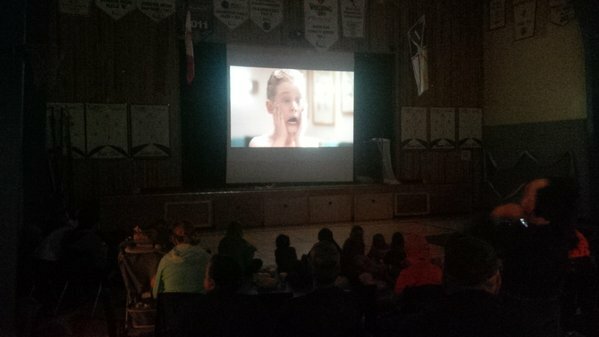 It was another great evening at Random Island Academy as we had our 2nd annual Christmas Tree lighting and Christmas movie night. We had a great evening of family fun and hot chocolate! 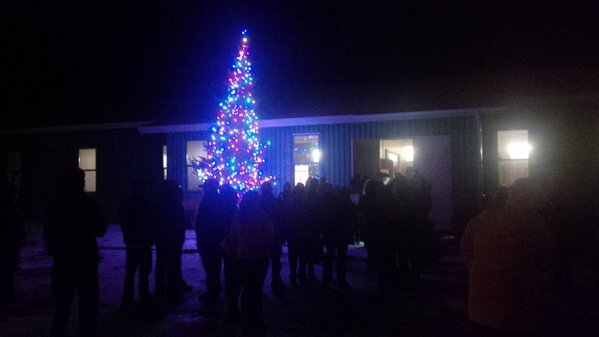 Mr. Blackmore officiated the event and our Student Council President, Ms. Brianna Green, did the official lighting of the tree. 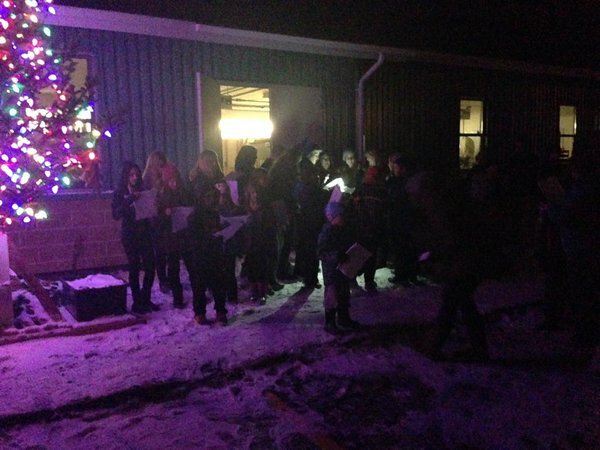 Then our carolers, lead by Ms. Kia Power, did a fantastic job of getting us into the Christmas spirit! 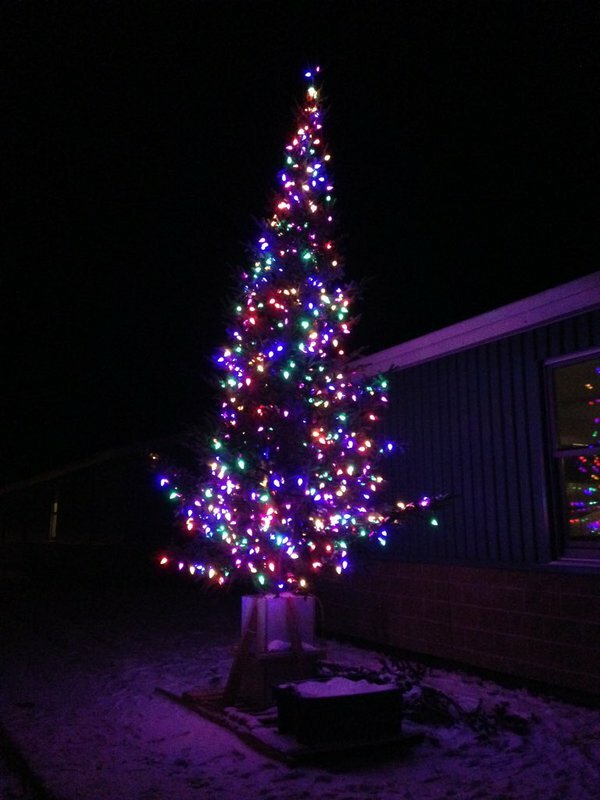 A big thank you to Mrs. Smith and her Student Council for organizing this great event, and thank you to the student council members and Mr. Adam Smith and Mr. Brian Ivany for getting the tree set up and decorated so nice! Festivities then moved to the gymnasium as we had our family Christmas Movie Night. We enjoyed Home Alone (25th anniversary) and some popcorn and drinks. Thank you to Mr. Cook and Mrs. Courtney Prince and the student Council for making this event a fun way to spread Christmas cheer. Between the two events we were able to raise $168 for Christmas Wishes! Thank you all who supported us in this endeavor! There can’t be enough positive things said about the efforts of our Student Council. They were simply fantastic!!! And, not only our Student Council…we had many other students pitch in and help set up and clean up and your efforts have not gone unnoticed! All in all, it was a great night that showed how generous our students and entire school community are with their time and money. Thank you all for helping us help others and start off this Christmas season right! This entry was posted in Uncategorized and tagged School Life on December 2, 2015 by riawebsite.